Altair Engineering has long supported Formula SAE Michigan by providing the FSAE teams with HyperWorks, our advanced computer-aided engineering software, as well as sponsoring a monetary award recognizing engineering innovation. This award is dedicated to the memory of Bill Adam, the person responsible for Altair’s involvement with FSAE. Bill had always had a love for motorsports and appreciated the unique engineering challenges required to bring a vehicle to competition. He saw FSAE as an opportunity for students to experience first hand some of what it takes to be successful in their engineering careers. This award recognizes and rewards teams that have invested time and effort into developing new and innovative concepts for competition. This award will encourage forward thinking and ambitious design goals and reward the risks taken to fully develop new and innovative concepts and ensure a diverse collection of competitive vehicles. The successful applicant will be the team whose innovation is based on solid engineering principals, sound reasoning, and proper execution. Altair Engineering will present the William R. Adam Engineering Excellence Award at Formula SAE® Michigan in Brooklyn, MI. Award Criteria: This award recognizes and rewards teams that have invested time and effort into developing new and innovative concepts for competition. This award will encourage forward thinking and ambitious design goals and reward the risks taken to fully develop new and innovative concepts and ensure a diverse collection of competitive vehicles. The successful applicant will be the team whose innovation is based on solid engineering principals, sound reasoning, and proper execution. Eligibility Criteria: Teams must be registered to compete and comply with all FSAE rules. Teams must fill out an award application describing the most innovative aspect of their vehicle. This could consist of an innovative design approach, innovative use of materials, innovative use of electronics, innovative part or system design, etc. Judging Process: Submissions will be graded based on the degree of innovation, the relevance of the innovation, the engineering processes used and the effectiveness. In addition, judging will be based on realistic engineering demands such as timing, cost, relevance to a target market, feasibility, and ease of use. Award Presenter: Altair Engineering, Inc.
Other Information: Award winners will be invited to develop a joint press release and case study with Altair Engineering. Altair Engineering offers free HyperWorks licenses to all Formula SAE teams. 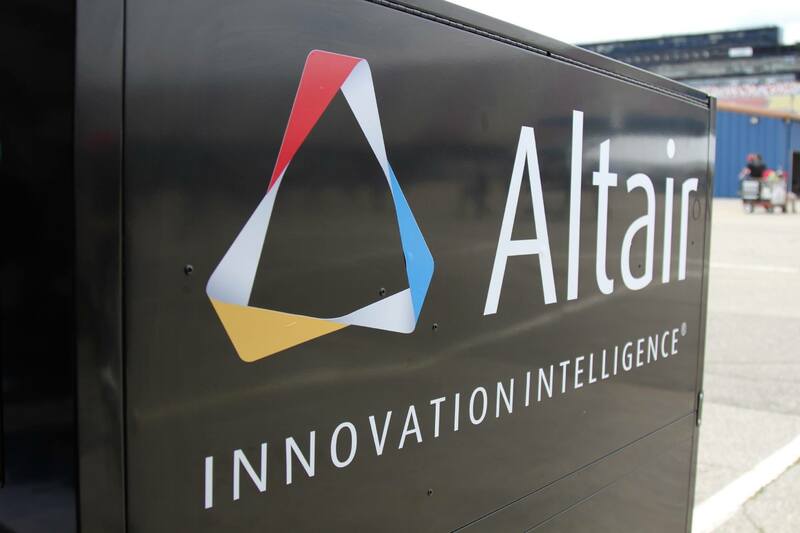 Altair HyperWorks is an integrated suite of CAE tools for product design, featuring market-leading technologies in modeling and visualization, analysis and optimization, design process automation and manufacturing process simulation. Assembled within a completely open architecture, HyperWorks provides maximum flexibility and direct data exchange with the most popular commercial CAD systems and CAE solver applications.